As the history of a murdered family is pieced together, Detective Frank Yakabuski learns something criminal has been happening at Ragged Lake, with roots going back decades . . . The debut in a page-turning trilogy from award-winning writer Ron Corbett. Gruesome murders, a northern secret, and a buried past While working one afternoon on the Northern Divide, a young tree-marker makes a grisly discovery: in a squatter's cabin near an old mill town, a family has been murdered. An army vet coming off a successful turn leading a task force that took down infamous biker criminals, Detective Frank Yakabuski arrives in Ragged Lake, a nearly abandoned village, to solve the family's murder. But no one is willing to talk. With a winter storm coming, Yakabuski sequesters the locals in a fishing lodge as he investigates the area with his two junior officers. Before long, he is fighting not only to solve the crime but also to stay alive and protect the few innocents left living in the desolate woods. 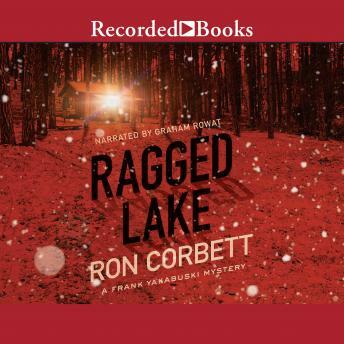 A richly atmospheric mystery with sweeping backdrops, explosive action, and memorable villains, Ragged Lake will keep you guessing - about the violent crime, the nature of family, and secret deeds done long ago on abandoned frontiers.